Every few months new prices for public transport tickets are introduced by the Berlin transport operator BVG. I’ll try to keep track of the current ticket prices – but it’s an ongoing thing. So please don’t take the priceslisted below for granted – instead I’m basically just offering an overview over the most popular, most important tickets, what they are good for – and how much you will probably have to pay. The first thing you should probably know is, that the public transport net is devided into three zones: A, B and C. A ticket is usually valid for zwo of these zones: either Zone A and B, or B and C. There is of course also tickets valid for Zones A and B and C, but those you probably won’t really need in every day traveling. 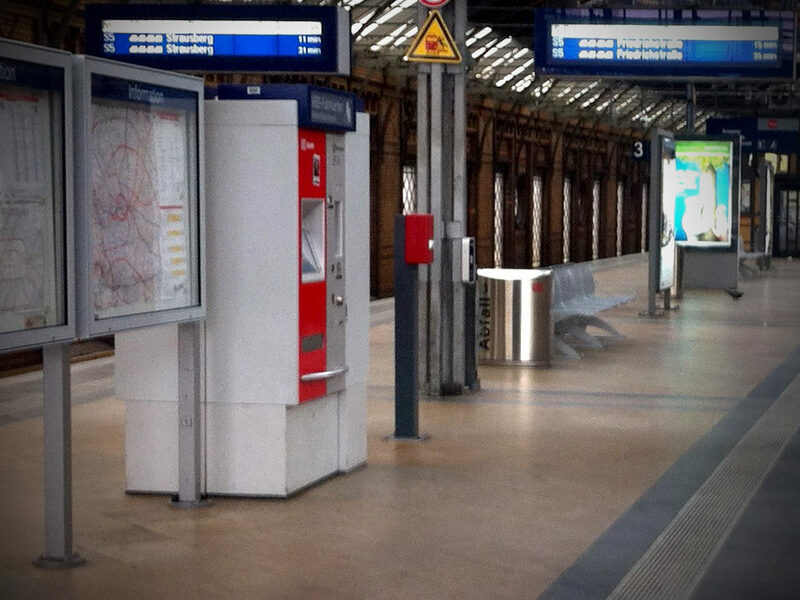 So traveling mostly around the city center of Berlin, an A-B-Ticket will most likely bring you there. A trip to Potsdam or to the Airport Schönefeld or to one of the many lakes around Berlin will require an A-B-C-ticket. There are also Tickets available that are only valid in the B-C-Zones. I doubt that these tickets are of any use for the regular Berlin traveler – so I didn’t list them below. One word of advise: try not to by a B-C-Ticket by accident. Inside the A-Zone these tickets are not valid and you may get fined for traveling without a valid ticket. For a quick ride you might not need a regular ticket. A regular ticket is valid for two hours, as long as you travel an a definable direction (going forth and back between two stations is not permitted). So for a regular trip you want to have one of those regular tickets with you. up to three U-Bahn- or S-Bahn-stations, changing from U to U or from S to S is allowed. up to six Tram- or Bus-stations, changing is not allowed. Tickets for Short Trips are marked “Kurzstrecke” and since 1st of August 2013 you can also buy a value pack of four.